A major transportation railroad bridge over the Genesee River needed to be replaced to increase efficiency on that route. The current bridge was built in 1875 and strengthened in 1903 and 1940. The weight and speed of trains operating over the bridge are restricted to ensure safe operation. The bridge was functionally obsolete. The new 963-foot bridge is on a parallel alignment 75 feet south of the current bridge. The existing bridge remained in service during the construction of the new bridge. The new bridge features a 483-foot steel arch over the Genesee River. The river runs through a canyon that is over 200 feet deep at this location. The foundations of the arch are set back into the canyon walls. American Bridge Company, the general contractor, subcontracted with MD&B to blast and stabilize the pockets for the foundations. Due to the blast locations, the work area could only be accessed via cranes, which lowered the drill and workers to the worksite in man baskets. Environmental concerns also came into play during this project. It was critical that no rock from the blast contaminate the river, 50 to 100 feet below. The frequency of blasting was also limited due to a nearby eagle's nest. 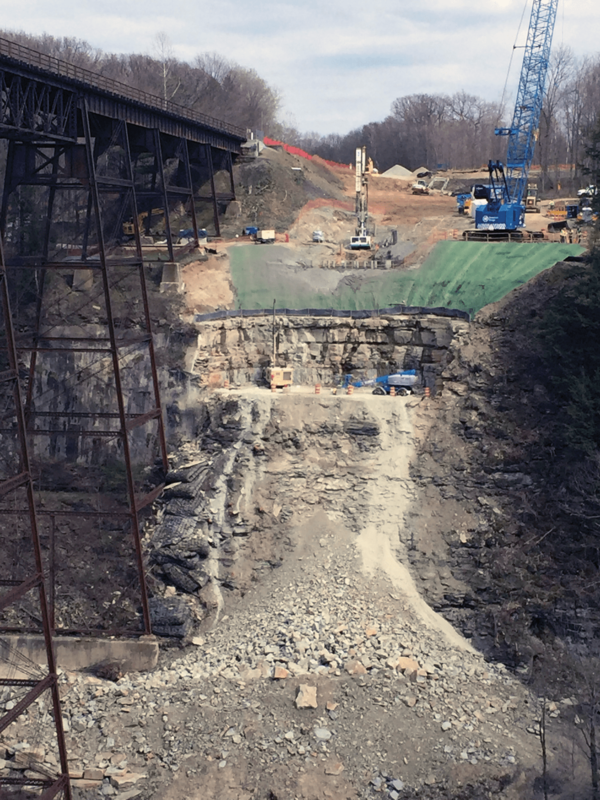 Due to both the project limits and the environmental concerns, MD&B could not blast each 90-foot rock cut at once, and therefore had to take the ledge cut down in six 15-foot lifts. MD&B drilled and installed rock anchors at every level to maintain stability of the rock face. After each blast, the construction crew lowered an excavator, filled the bucket, hoisted the material out and cleared the lift for further use by MD&B's crew. 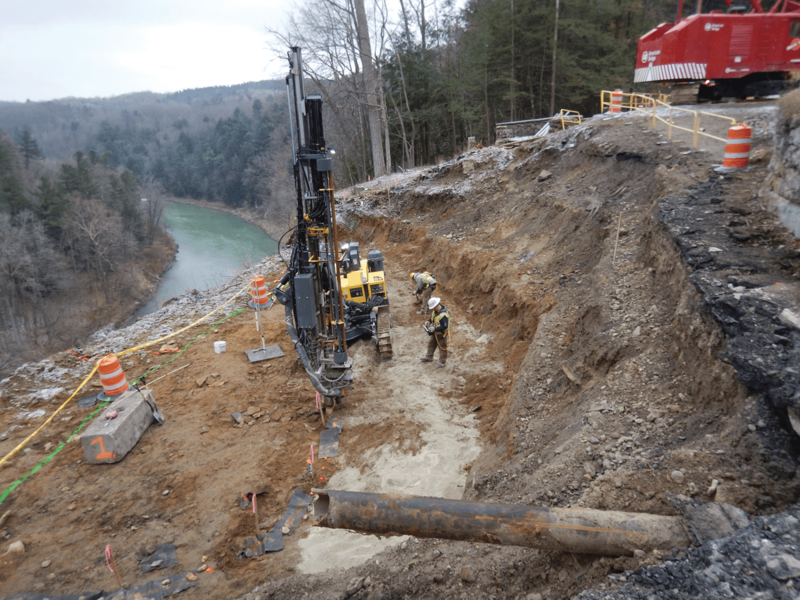 MD&B used rubber tire blasting mats for containment purposes on the project that ultimately displaced 13,000 cubic yards of rock.